Solo Build It Diary Update : Sitesell is way above the competition! Now even easier! Solo Build It! Makes Writing Websites even easier! As I am writing this in March 2012, Sitesell is being updated with a new, exciting interface! I wondered, "Can Solo Build It! (SBI) really keep on improving?" And they've done it again! If you've been on my website before, it is no secret to you, that I appreciate Solo Build It! or should I say, "I Love SBI!" You may have read my Website Diary pages (Page 1, 2) which is my month by month web business building experience. Also see my video on the bottom of my SBI Diary 1. Well, by the time I had worked with SBI for 1 year (in 2007), I understood what CTPM meant. As I continued on, I learned a whole lot about building traffic, inbound links monetizing strategies and far more. I learned about the power of Content 2.0 and how it works so well with SBI. And as I have been learning and applying it to this site as well as a few more websites I have developed, Sitesell have been working behind the scenes on the latest $3.5 million development which makes building a site far, far easier than ever before. It is being released any day now! SBI gives you not only the smart, fast and sleek tools to design an amazing website, it also continues to overdeliver as it teaches you not only how to build a website, but to build a profitable incoming producing web business. 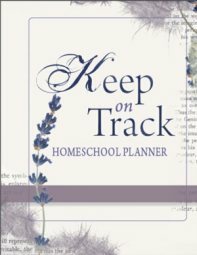 Great course for homeschooled kids! Not all of my children are keen to be writers behind a computer screen, but 4 out of 6 have given it a go - one has now started his own business in search engine optimization, and two others are currently working through the action guide and building their sites. But, that's all gone with BB2! A visual builder where you enter all the details and can view all your changes immediately on the screen as you type. A very effective use of 20 sitewide dots which enable you to add information to your whole site by dropping it on to one of the site-wide dots. 5 Libraries - where you store your images and files which are all accessible while working on your page. An action guide to guide you. - not just how to build a page, but how to build a real, profitable, successful web business, that reaches the world and grows in traffic. If I began a new site today (which I will when BB2 is out!) - I will definitely be using BB2. Easy, professional, slick, available, accessible, everything on one page - top of the range! Five years on with Solo Build It! More than 200 pages of content including submissions! A huge uphill curve of learning for me - but exciting! Research skills to write what homeschoolers were looking for and tools all supplied by Solo Build It! And enough rewards to pay for my renewal plus extra! Not bad for the first year! More than 200 pages of content! Plus ... more than 215 submissions from my visitors! Consolidating what I have learned from the online business building course included in Solo Build It! All my questions answered at the wonderful forums! I can easily pay for my website in just one month from Google Ad income! Over 900 unique visitors per day! Now over 850 pages of content including submissions! 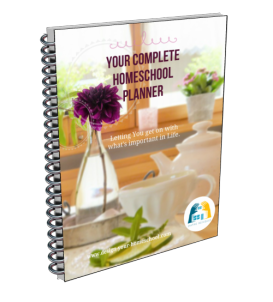 Listed in the top 5 Homeschool sites! Built a business website for a local business. Taught (still teaching) my children business essentials as well as web tools using Solo Build It! - Built websites with a few of my children. Pays for all of our educational / schooling expenses, music tuition, sport and more..
Over 1300 + unique visitors per day. 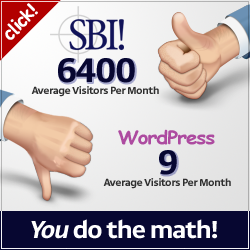 More than 65,000 page views per site per month. Interested in building a profitable Web Business on any topic you like? Do you have BAM? Brain, Attitude and Motivation? Can you work as an independent and self-disciplined entrepreneur alongside a team of helpful SBIers who are walking the same journey? learn from the written word. Then you, or your children can build a profitable Web Business on your own. Subscribe to a free 4 Week E-course to learn more! Build your own website business with the Help of Site Build It! Like to find out more about working with Solo Build It? Go to the order page here. Remember, there is a money back guarantee. What brought me to Solo Build It! in the first place? What were my first few months like? Go to my Solo Build It!I Diary page 1.